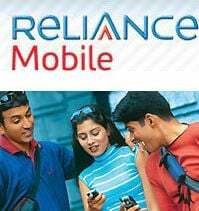 The Department of Telecommunications (DOT) has allotted 80 and 81 mobile series for Reliance Mobile. According to Reliance Communications, 8088 series is alloted for Karnataka, 8099 for Andhra Pradesh, 8100 for Kolkata, 8110 for West Bengal, 8102 for Bihar, 8103 for Madhya Pradesh circle. The new number series beginning with 80 and 81 will be available for Reliance GSM mobile service in all the above respective telecom circles. Hitherto, the customers were provisioned with the numbers beginning with 9 series. Reliance Communications is offering the “8” series on both its prepaid and postpaid platforms across its GSM network in Karnataka, Andhra Pradesh, Kolkata, West Bengal, Bihar and Madhya Pradesh. you are doing ur job very well pl carry on. I really shocked when i found a miss call from 8088 series at 11:30 pm ,so in morning through ur web site i found that this belogs from karnatka.